Born and raised in North Carolina, Laura had a passion for horses. As a young child she received her first pony. As time went on she entered many horse shows and equestrian events. At the age of twenty-one she started working at the horse tracks and three years later became a professional horse jockey. Racing around the country on national televised events, she went head to head with some of the best jockeys in the world. Many of whom won the Kentucky Derby, Preakness and Belmont stakes. Her competitive spirit and fearless attitude resulted in many victories. She was well known among her colleagues and respected by all. After twelve years of racing and many bruises, Laura retired from the sport and began employment as a horse trainer in Ocala, Florida. Some of the horses that she rode and trained were worth several million dollars. Laura relocated to West Palm Beach, Florida and in February of 2002 became a real estate agent. 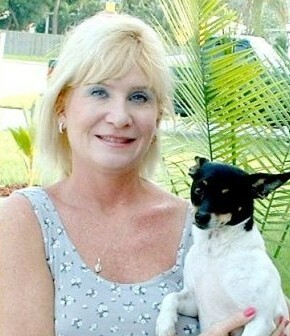 She moved to Brevard county in 2003 and eventually obtained her broker license. Soon thereafter, she created Sell Florida Homes, Inc. The company now features over twenty agents and is a member of several real estate associations throughout Florida. Laura is also a licensed mortgage broker who has helped her clients obtain financing when other companies wouldn’t. Her past experience as a professional athlete attributes to her success in the competitive real estate industry. As a woman jockey competing in a predominate male sport, Laura learned that having a positive attitude and enduring many hours of hard work would lead to successful victories. If you’re looking to buy or sell property, you can be assured that selecting a real estate agent with experience and a “Winning Attitude” will create the most favorable results.